The charity boat Lifeline docked at Malta on Wednesday evening, bringing to an end a saga which had more than 200 migrants stranded at sea for six days. 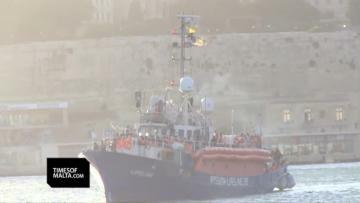 Permission for the ship to dock at Boiler Wharf in Senglea was given after eight European Union member states agreed to jointly distribute the 234 migrants aboard amongst themselves, Prime Minister Joseph Muscat said. 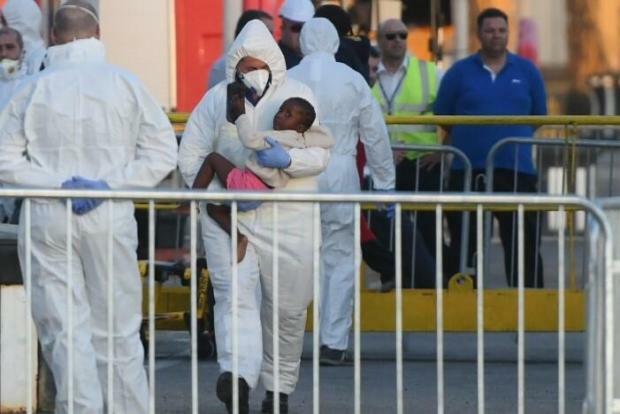 The operation was coordinated by the Malta Police Force, the Armed Forces of Malta, the Agency for the Welfare of Asylum Seekers, the Civil Protection Department, Transport Malta and the Health authorities. The government said that following an assessment on site by the health authorities, three babies accompanied by their parents together with another three adults were taken to Mater Dei Hospital for further medical check-ups. The ship's captain is being interviewed at the police headquarters. Immediately after the interview he will be escorted back to the ship. The rest of the crew has disembarked the ship and UNHCR officials observed the whole operation. 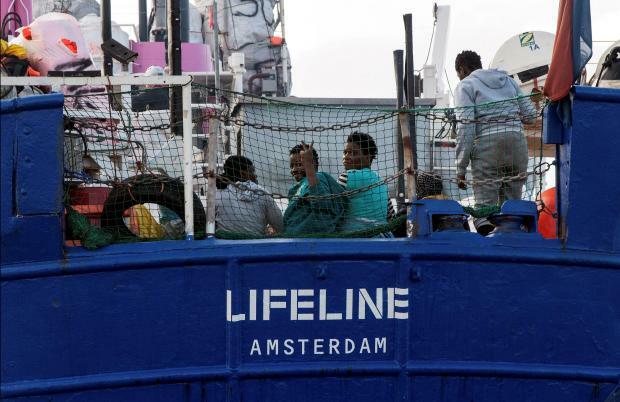 Lifeline spokesman Axel Steier said the migrants included 17 women and five children, including an unattended two-year-old. 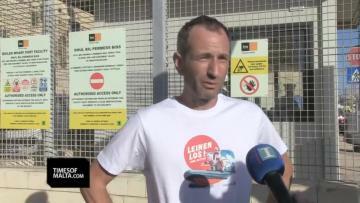 "We are very proud that the crew rescued 234 people," Lifeline spokesman Axel Steier said as the ship approached Valletta harbour, thanking Malta for taking it in. "This situation is special because the crew was out there for a long time and it's not normal." He said later that the crew did not want to go to Libya because many of the rescued migrants, most of whom were from sub-Saharan Africa, were escaping the torture there. One woman on board even said she had been raped in Libya. The rescue charity tweeted as soon as it made port, saying it arrived and asking for donations for its next rescue missions. human trafficking". They also waved Maltese flags. At one point there was an incident between foreign NGOs and the activists and the police had to intervene. 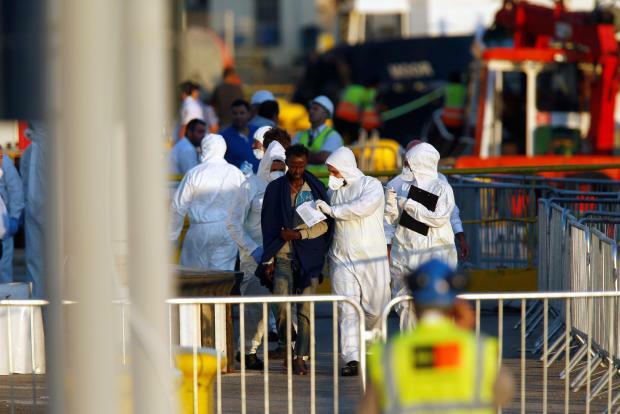 Speaking at a press conference at Castille in the morning, Dr Muscat said that the MV Lifeline would dock in Malta on Wednesday evening and its 233 migrant passengers brought ashore. Another passenger was evacuated to Malta for health reasons two days ago. Malta, France, Ireland, Italy, Portugal, Luxembourg, Netherlands and Belgium have all agreed to take in a share of migrants aboard the vessel. Dr Muscat declined to say how many migrants each of the states had accepted to take in, saying that could only be determined once passengers were screened, given a chance to apply for asylum and had their status determined. He said the “ad hoc” solution was hatched between member states at a miniature EU summit hosted by EU Commission president Jean-Claude Juncker last Sunday, and insisted that the arrangement could not be considered a blueprint for how EU member states would handle migrant sea rescues going forward. “It might seem like ‘yet another vessel’ to people, but this was a very, very unique case,” Dr Muscat said. ??? ?La nave fuorilegge #Lifeline arriverà a Malta e lì verrà bloccata per accertamenti. The Lifeline has been stranded at sea for the past six days, with both Italy and Malta saying its captain violated international law and refusing to allow it entry to its port. UNHCR welcomed the agreement and said its Malta branch was ready to support authorities as needed. Malta's church was also happy with the deal, saying that the country had done a "big thing despite its small size" and expressing hope that countries "far larger than us" would imitate it in the future. Italy's government has lashed out at Malta over the standoff, with its infrastructure minister Danilo Toninelli saying "the inhumanity of Malta is the mirror of Europe's attitude." Weighing in on Italian deputy Prime Minister Matteo Salvini’s posturing on Malta, Dr Muscat said the Italian has already stoked some controversies, and more were expected in the future. The Maltese prime minister was however keen to stress that the Lifeline case was "not an issue between member states" and instead pinned the blame on the vessel's captain, saying the crisis had been precipitated by a decision to ignore lawful orders. 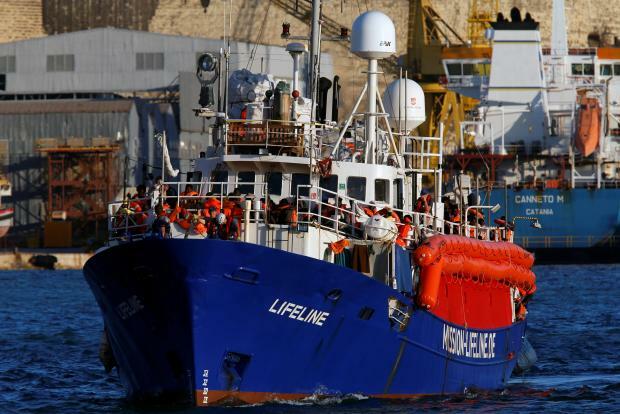 Dr Muscat has now ordered an investigation into Mission Lifeline, the NGO running the Lifeline, and the vessel will be impounded by Maltese authorities once it docks in Malta on Wednesday, pending investigation into registration irregularities. The vessel is expected to arrive at Boiler Wharf at around 6pm. Both Malta and Italy have accused the ship’s captain of ignoring orders to hand over rescued migrants to Libya’s coast guard. NGOs have defended the captain’s decision by arguing that Libya is not a safe harbour and that disembarking people there would violate international law. Malta’s government has also noted that the ship was registered as a pleasure craft and therefore should not have been conducting sea rescues in the first place. Dr Muscat said it appeared the Lifeline might have been operating as a ‘stateless’ vessel, flying a Dutch flag but not, according to Dutch authorities, registered on that country’s ship registry. Asked how the vessel’s dubious registration had escaped Maltese authorities when it previously docked on the island, Dr Muscat said he had called for a review of national protocol to avoid a repeat of the situation.